How to extract data from iCloud backup without restoring? How to extract data from iCloud backup without restoring? How to download data from iCloud backup without losing anything? How to efficiently retrieve files from iCloud backup? 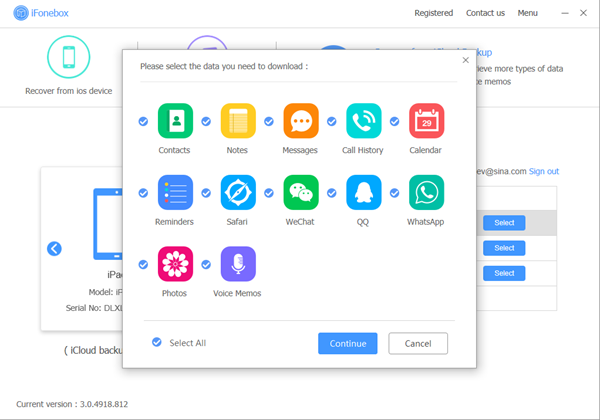 Backing up iPhone/iPad/iPod data through iCloud is really a good habit, which can help you survive from unexpected data loss caused by accidental deletion, jailbreak, iOS update and many other scenarios. Normally, you can extract data from your iCloud backup by restoring, but it would erase all the current files and settings on your device. If you don’t know how to download data from iCloud backup without losing anything, no worries. In this guidance, we will show you how to do that. I believe iFonebox, an excellent and professional iOS backup extract can fully meet your demands. 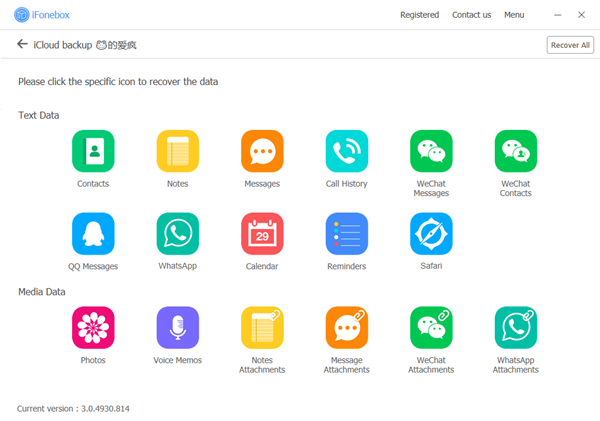 It is designed to help iOS users to efficiently retrieve up to 17 files types from iCloud backup, including contacts, photos, calendars, messages, call logs, safari bookmarks, videos, voice memos, WeChat data, WhatsApp data and etc. Moreover, it allows you selectively backing up data from device. You can download all the data you want from any available backups without any data loss. Before we start the progress, firstly free download the program on your computer. iFonebox has two available versions: Windows version and Mac version. Please make sure to install the right version for your computer. Once you have installed the program, next I will show you how to effectively retrieve files from iCloud backup.